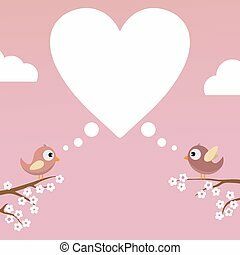 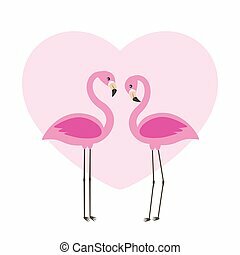 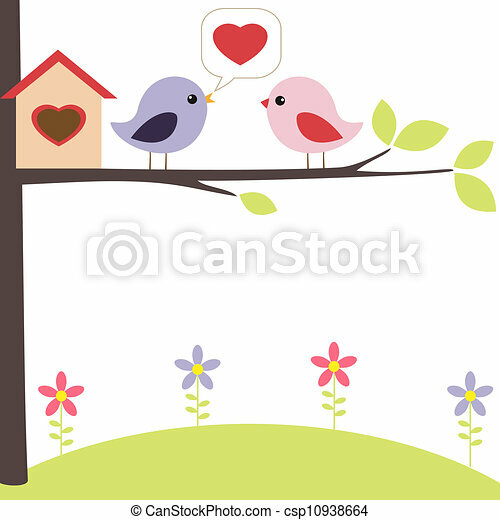 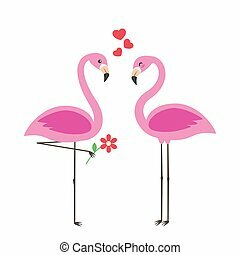 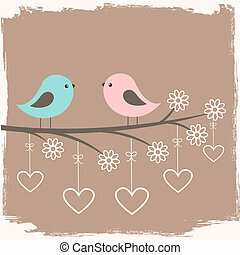 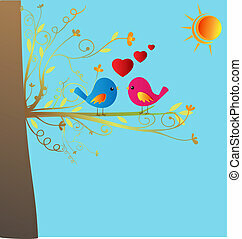 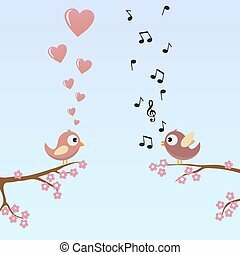 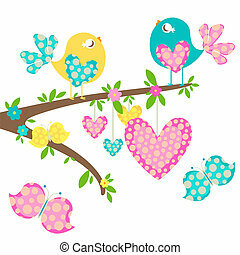 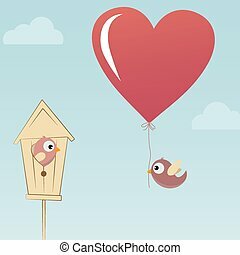 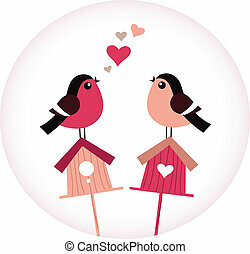 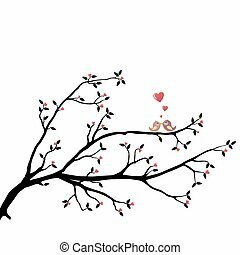 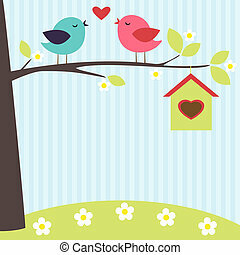 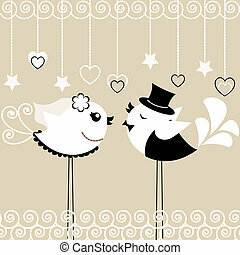 Birds in love on the tree. 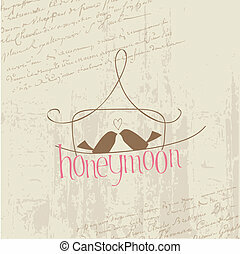 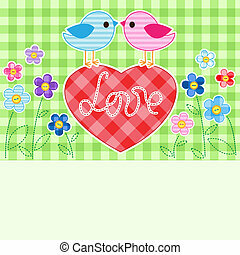 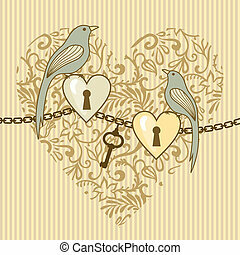 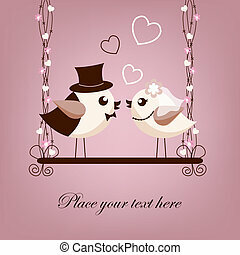 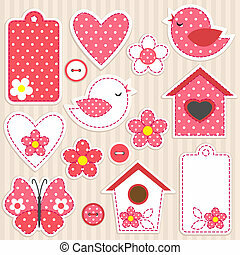 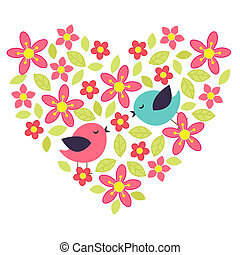 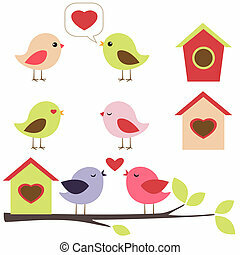 Card with couples of birds on red heart. 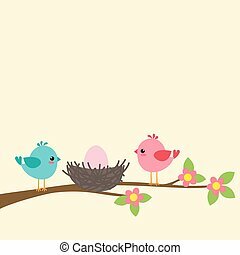 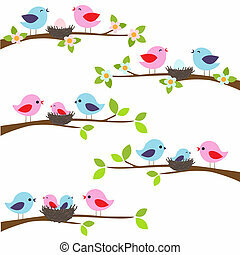 Family of birds sitting on a branch. 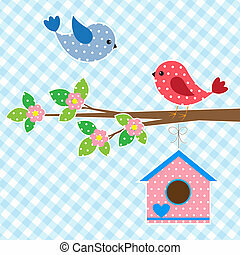 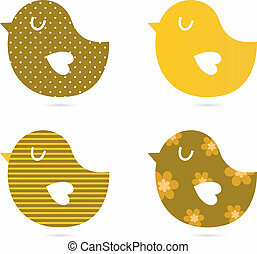 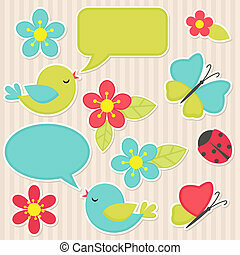 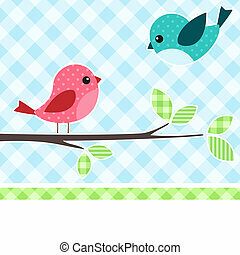 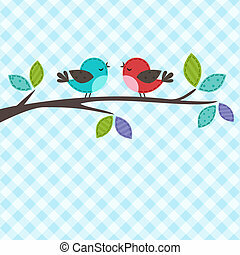 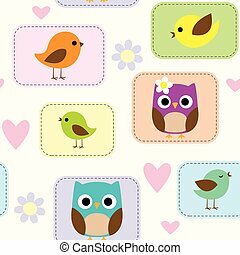 Card with birds on branch with textile background. 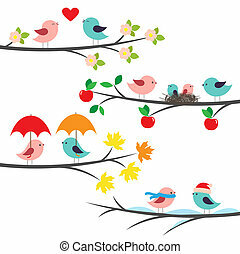 Family of birds sitting on a branch. 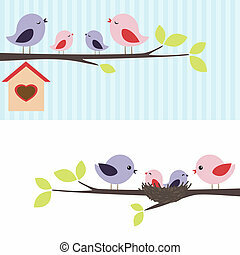 Two variations.